Do you find it difficult to think of weather vocabulary ideas when doing a weather theme with your kids? Here are some fun word games and activities to try out with your students. Find a word! 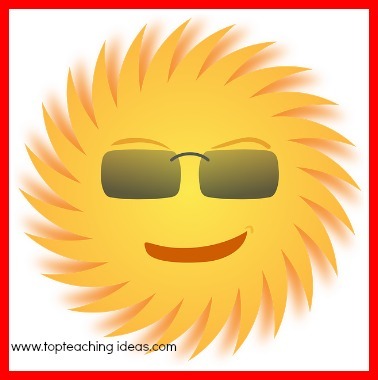 A good fill-in weather vocabulary activity! I found this a good fill in activity or one to give to your kids if they finish tasks early. Choose a longish weather word such as meteorological or anti-cyclones and ask the kids to find as many little words as they can from the larger word.The more vowels there are in the word the easier it is for the younger children to find simple 3 letter CVC words and older children to find longer words. If it's a fill in task you could give them a time limit. This does help to focus the mind and limit the chatting! You could of course make it just that little bit more difficult by limiting them to weather vocabulary words but I tried this myself and I got as far as cycle from anticyclones and then I got stuck! Remember, children often do far better than us adults! I do a lot of rhyming games and activities with my kindergarten and pre-school kids. The younger they start to identify rhyme the more proficient they will become later. The more easily they are able to identify words that have the same ending the more confident they will be at having a go at spelling their own words when they learn to write. This game involves picking a very simple weather vocabulary word. Have the kids sitting in a circle. Say the word to the first child, he then has to say a word that rhymes with that word. For example if you chose sun as your word the second child would say bun and the third child would say fun for example. The game continues until no more rhymes can be found. You then start again with a new word. You can include 'non words' in the game but obviously you have to establish this beforehand. Also with older children you can get them to chose their own word and write down as many words they can think of that rhyme with that word. This has an extra bonus as it reinforces the spelling patterns too! Download a free rhyming word worksheet! 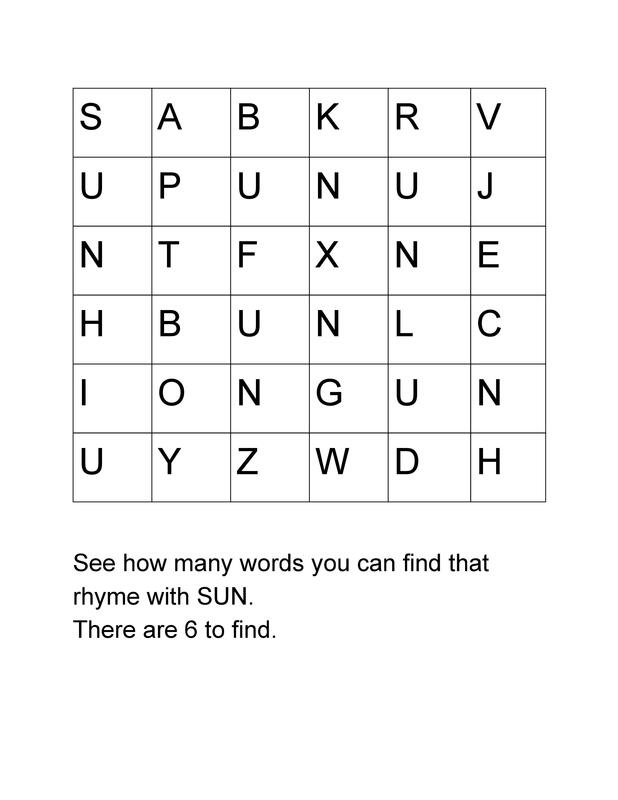 Get the children to find the words that rhyme with SUN. I like this game as it needs no props whatsoever and can be played almost anywhere! We played it as a family on long car rides picking a different subject each time. And so on until someone cant think of a word and then they say 'End of' and start all over again. I think with little kids you can allow clothes and items related to weather but establish this at the start of the game. Acrostic poems are a fun way of introducing weather vocabulary to kids of any age. Just by making the word longer or shorter you can adapt the activity to different ages and abilities. For kindergarten kids I chose a simple weather word such as SUN and wrote it on the board so we could all do it together. Then we brainstormed words that began with 'S'. We talked about the kind of word that would be better starting our poem and thought a noun such as Snails would be good. Then we did the same with 'U' and came to the conclusion that there needed to be a verb or doing word although we thought that we could use 'under' just as well. Our last word was 'nails'. We thought this was great because it rhymed! The kids loved doing it and wanted to have another go with a different weather word. The word Mnemonics sounds daunting but it can be a great way of helping kids remember how to spell tricky words. You can use mnemonics for any words the kids find hard to remember how to spell. For example if you were focusing on weather vocabulary as a theme and the kids found the word ICE difficult to spell because of the soft 'C' you could work together to find a sentence or phrase to help them memorise the correct spelling. Start by writing the word ICE on the board. Lastly you say you need a word beginning with 'E' that completes the sentence or phrase. I Can Eric! So every time you need them to spell ICE. You can remind them of the phrase they made up to help them remember how to spell the word. Ask them to shout it out to you 'I can Eric!! Try it out with other tricky words you want them to remember! 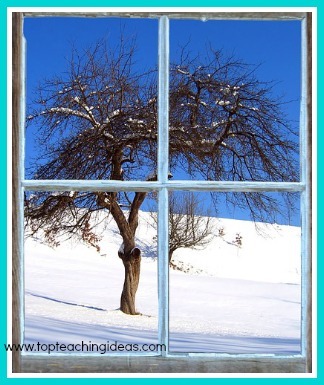 For more vocabulary ideas go to summer vocabulary and winter vocabulary.